Action folds to Paul Freedom in the small blind who shoves all in for around seven big blinds. Andrew Lauer looks at his cards and says, "Alright, let's do it," as he moves a similar sized stack of chips forward to call and turns over 3♥3♦. Freedom shoves 4♥2♣. The flop comes 9♣6♥5♣ leaving Lauer in the lead but giving Freedom outs. The river is the 4♣ giving Freedom a pair of fours to take the lead and the J♦ river is no help to Lauer. 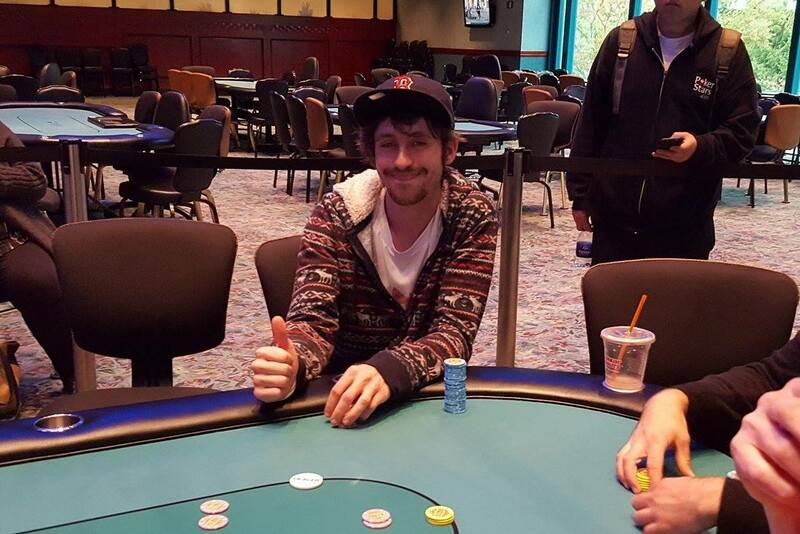 Lauer is heading home in 4th place, and is taking with him $15,613.